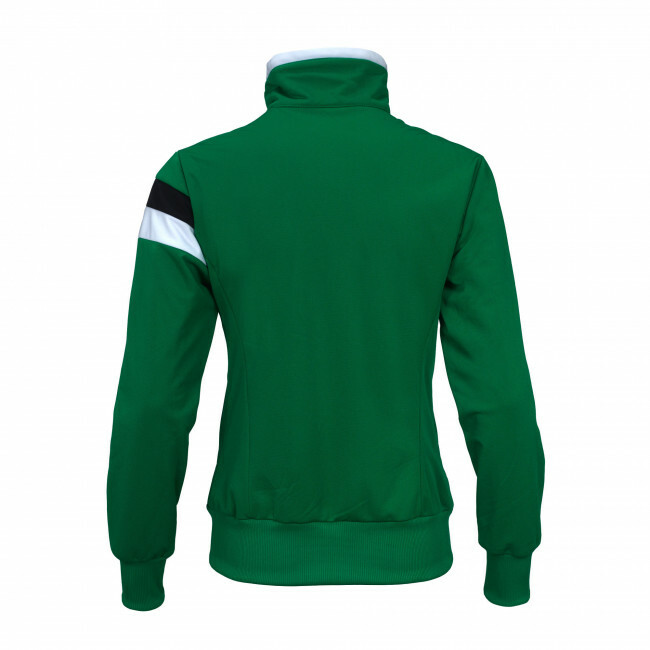 Ladies' full-zip jacket. Contrasting collar inside. Elasticated sleeve cuffs and waistband. Available in a variety of colours. Matching colour zipper. Customisable coloured inlaids on the chest and on the sleeve. Contrasting pocket lining. 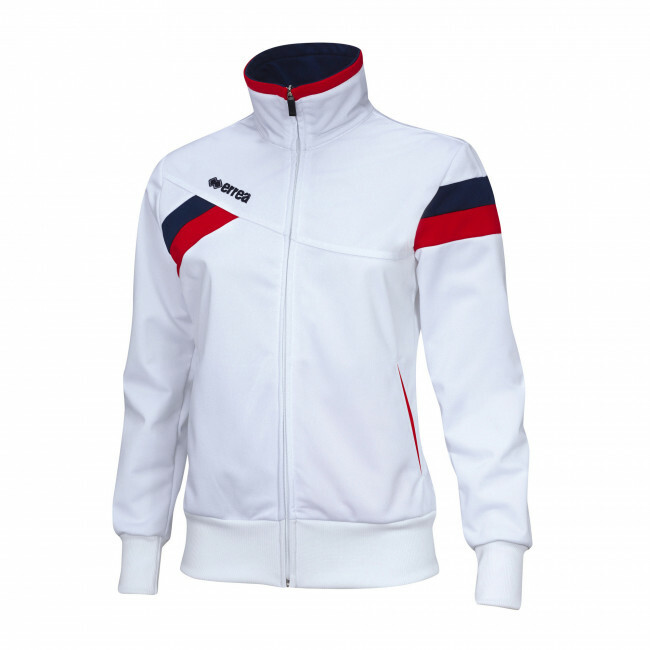 Florence by Erreà is the tracksuit jacket specially designed for lady athletes who show great attention to every detail of their apparel. Made of an extremely resistant fabric, it is the perfect garment to keep the cold at bay with style, and to stand out thanks to its contrasting colours. The shiny inlaids are totally customisable, the pockets have contrasting-coloured lining and the collar edge matches the colour of the inlaids, to emphasise your team's colours. The full-length zipper closure allows you to adjust ventilation according to your needs. The zipper is almost invisible, since it is in the same colour as the sweatshirt. Last but not least, its ribbed waistband and sleeve cuffs guarantee an outstanding fit and feeling.